Posted By:Unknown | At:7:32 AM Be the first to comment! 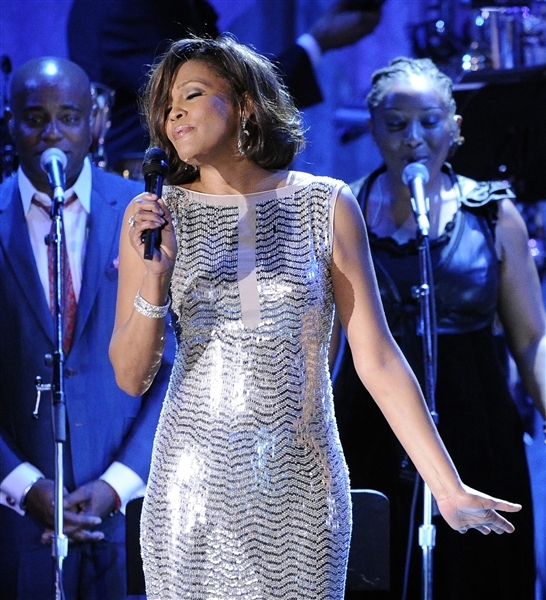 A Beverly Hills police sergeant disturbed the scene of Whitney Houston’s death in 2012, according to a claim filed last week with the city, by lifting the sheet covering her naked body and commenting on how good the dead pop superstar looked. Houston was found dead in her room at the Beverly Hilton in Beverly Hills on Feb. 11, 2012. The Los Angeles County Coroner determined that she died of accidental drowning, with cocaine use and heart disease as contributing factors. She was 48. The claim was filed by former Beverly Hills SWAT supervisor Brian Weir, who says that as the senior patrol sergeant on duty he responded to the death scene and "attempted to secure and preserve the scene of the death." He says that Nutall arrived on scene after a sheet was placed over Houston's body to "prevent contamination." Weir alleges he was removed from his position as head of the department’s SWAT team for reporting the alleged misconduct. The claim, filed on his behalf by attorney Christopher Brizzolara with the city of Beverly Hills and other California state agencies, is a precursor to a civil lawsuit that is expected to be filed within 30 days.